“Man does not live by bread alone” so the saying goes. But with this list of my favorite bread recipes, one might have to reconsider this. I have to admit it – I love bread. I would find it difficult to eat a grain free diet. To me, there is nothing quite like the smell of home made bread cooking. I asked my friends in the Garden charmers to share some of their favorite bread recipes with me. As usual, they did not disappoint. 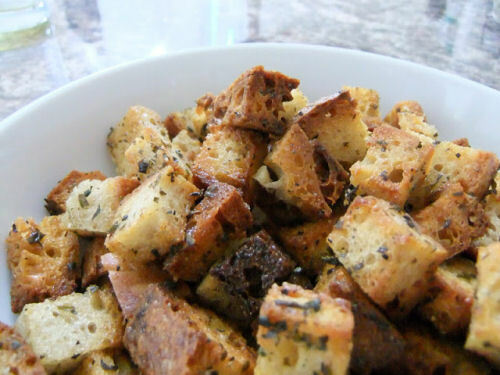 There is everything in these bread recipes, from home made Italian herbed bread, to banana bread and on to home made croutons. And let’s not forget a topping for bread too. Just click on any of the images of links below to go to the recipes. I promise – if you love bread, you will not be disappointed! If you are looking for a classic white loaf, you can’t go beyond this recipe from Tanya of Lovely Greens. It is made from just a few simple ingredients: flour, salt, water and yeast. Tanya’s article talks about the type of flour to use and her step by step photos makes the tutorial easy to follow. Heather from New House, New Home, New Life has a great tip for making banana bread. Freeze your bananas first! 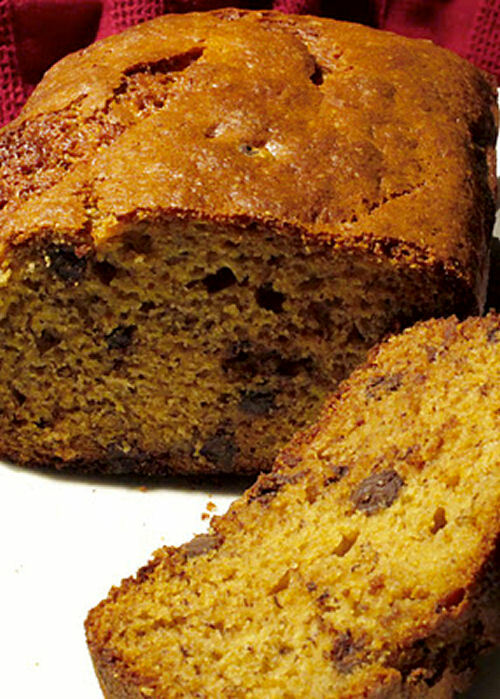 While ripe bananas are not pretty, they do give them the perfect consistency for a great banana bread. I just love the taste of any sort of hearty bread. It makes the perfect compliment for any soup or stew recipe. 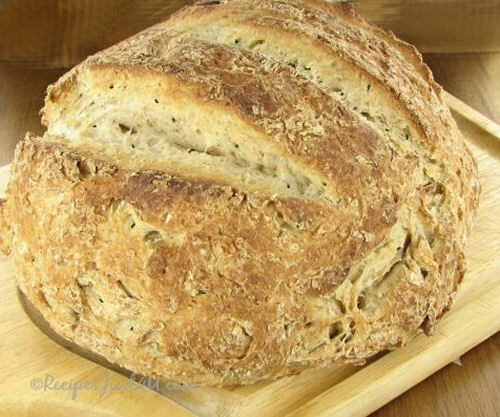 This recipe for herbed Italian bread uses a lovely range of herbs that gives the bread a really special flavor. Get the recipe here. 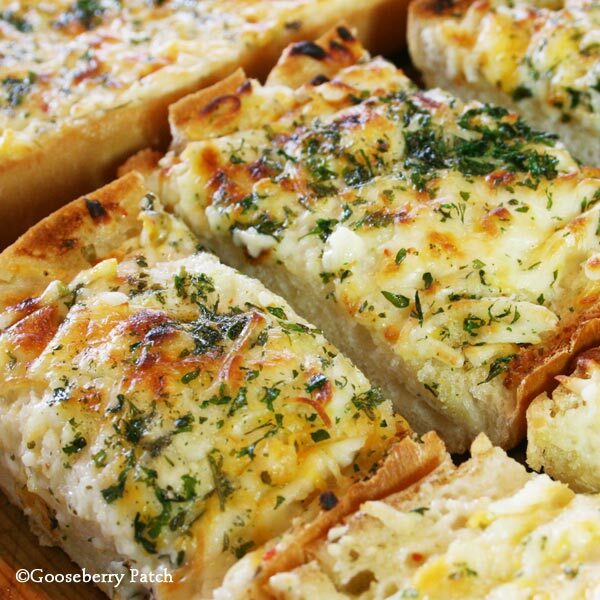 Nothing says comfort food quite like a cheesy garlic bread. This recipe From Gooseberry Patch would go with any of your favorite soup recipes. One can never have too many banana bread recipe in my opinion. 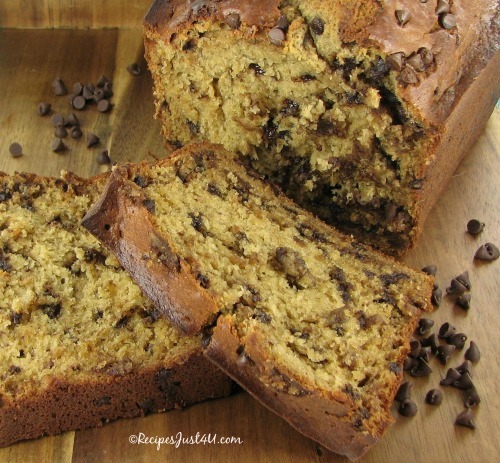 This delicious bread uses chocolate chips and it will tempt your sweet tooth as well as give you a tasty way to use up those ripe bananas. Get the recipe at our sister site, Recipes Just 4 U. Looking for a spread to use on your favorite bread? 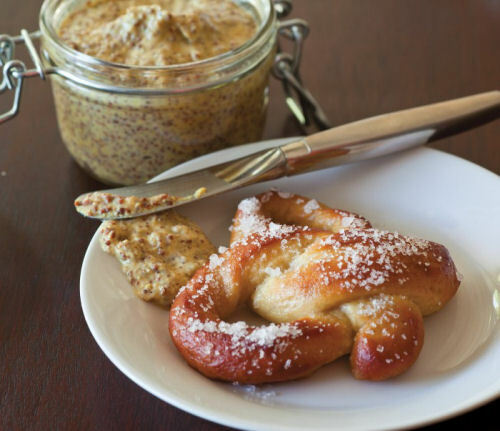 Stephanie from Garden Therapy has a great one – a beer infused grainy mustard recipe. I’d love the recipe for that pretzel too, Stephanie! 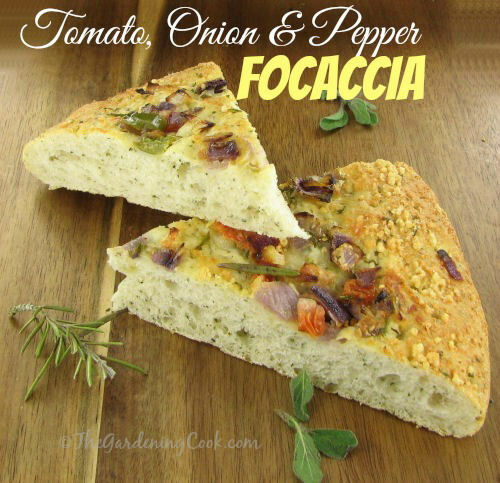 This recipe for tomato, pepper and onion focaccia is just plain delicious. The consistency is something like a pizza base but the toppings make it a great side dish for any soup or salad. Get the recipe here. 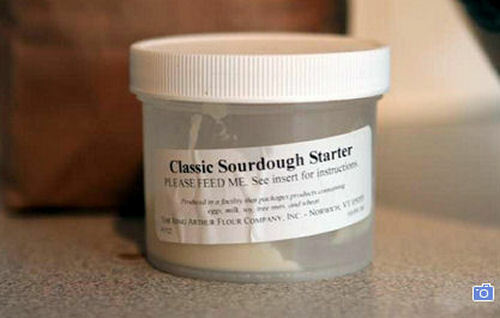 I first tried sour dough bread when one of my teaching friends gave me a starter years ago. I made bread over and over from this little refrigerator pet! My friend Stephanie has a great article about a 250-year old sourdough culture that she found on a trip to New England and King Arthur Flour’s Baker Store. Read about it here. 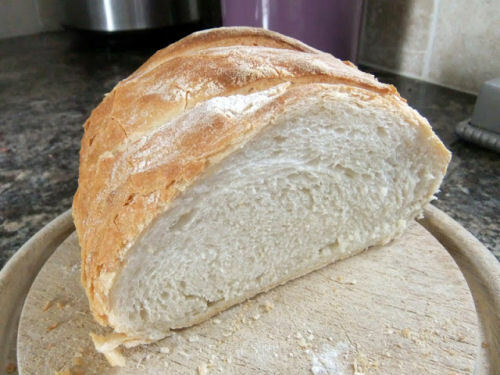 Barb from Our Fairfield Home and Garden has a lovely recipe called A- Z Bread. She calls it that because she says that you can, pretty literally, think of a fruit or vegetable for most every letter of the alphabet to make it with. 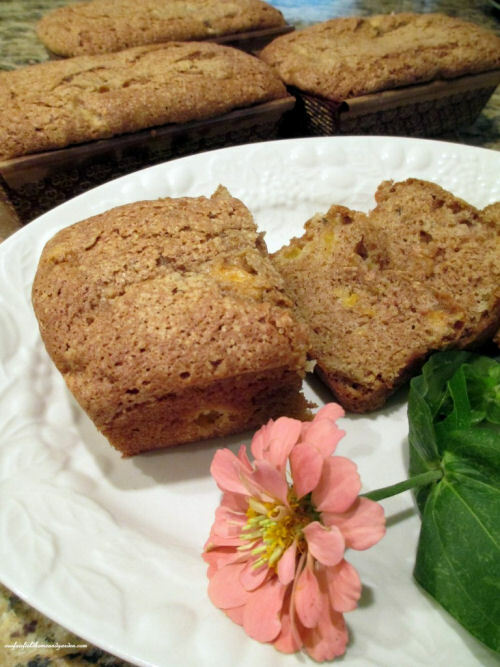 This version is a lovely peach bread with Lavender sprinkles. It is never too early to start gathering recipes for the holiday season when it gets so busy. 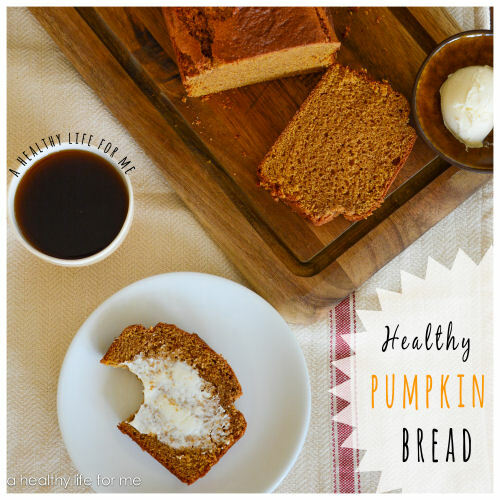 Amy from A Healthy Life for Me, has a “healthier” version of pumpkin bread that she wanted to share with my readers. Tanya from Lovely Greens keeps all her cast off bread pieces in the freezer until she had enough to make these delicious home made croutons. They are easy to do and great for salads too. 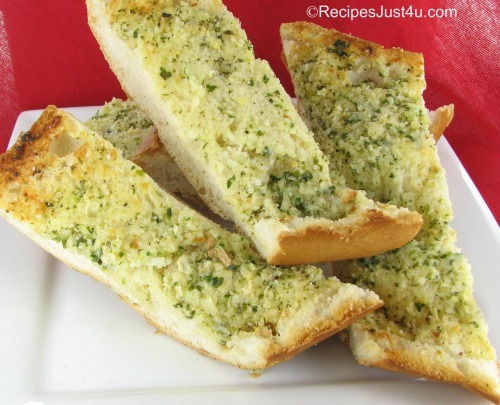 No bread round up would be complete without a recipe for home made garlic bread. It is so much better that any thing that you can buy at the store and perfect to serve with so many Italian dishes. Get my recipe here. There you have it. 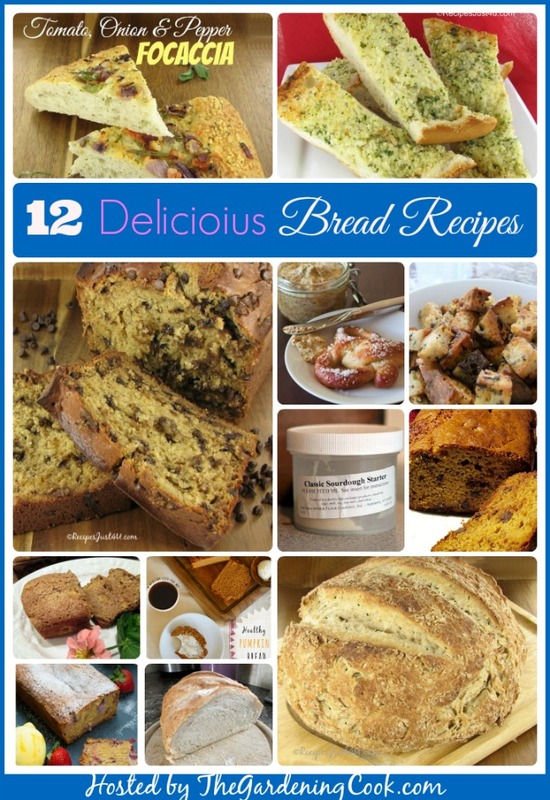 12 of my favorite bread recipes. All images shared with permission of the original content creators. 2. Cheesy Buttermilk Herb Bread.